A "Project Runway" star is headed to Maryland. D.C. native and TV personality Tim Gunn is returning to the area Wednesday to host Chefs for Equality, a wedding-themed event raising money and awareness for marriage equality in Maryland. 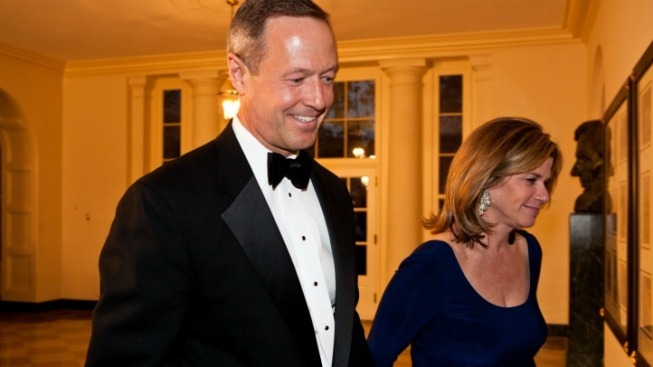 Maryland Governor Martin O'Malley is a honored guest. In a statement, O'Malley spoke confidently about the fate of Question 6 on the Maryland ballot. "As Marylanders vote for question 6 on Election Day, Maryland will become the first state in the nation to successfully defend marriage equality at the ballot box, but we cannot do it without the hard work and support of so many, including the Human Rights Campaign." Chefs for Equality aims to brings together more than 60 D.C.-area chefs, mixologists and designers for a night of food and fashion. DJ Shea Van Horn will be spinning while models will showcase wedding fashions from Michael Andrews Bespoke and Carine’s Bridal Atelier. Dessert is wedding cake from some of D.C.'s top pasty chefs including Maggie Austin, Georgetown Cupcake and The Swiss Bakery. Attendees will also find an open bar and tasting tables from 25 top restaurants, including Wit and Wisdom, Pearl Dive Oyster Bar and Kaz Sushi Bistro. Attendees looking for a more personal experience can bid now to have a personal chef cook for them and seven other guests. The event will take place at the Ritz-Carlton (1150 22nd St. NW) on Oct. 24 starting at 6:30 p.m., with an after-party at Graffiato (707 6th St. NW) from 10 p.m.-1 a.m.